Warner Brothers and Traveller’s Tales bring us another action adventure game in their re-occurring Lego franchises, only this time it is a title that has been out for a while on the WIIU, but has been brought to us on the Playstation 4, Xbox one, Nintendo Switch and PC. Warner brothers and Traveller’s Tales presents Lego City Undercover. Story: Lego City Undercover is an action adventure game where you take on the role of a police officer by the name of Chase Mccain, making his return to Lego City after being away for two years. Upon his return, he learns that the evilest criminal in Lego City (Rex Fury) has escaped from prison and has been infesting the city with crime. So now it is up to Chase Mccain and the Lego City Police to stop all the crime in Lego City, and take down Rex Fury. You begin by just doing work with the Lego City Police, but further down the line you go undercover to work for the cities most notorious crime bosses in order to get closer to take down Rex Fury. Gameplay: Lego City UnderCover is an open world, action-adventure game. Think of it as Grand Theft Auto for kids and lego form, with less serious missions and cheesy one-liners and wonderful references to classic spy and cop shows like Starsky and Hutch, Mission Impossible 2 and Shaft. You have your main missions which are a lot of fun to do they are your typical puzzle solving, collecting as seen in previous Lego games, using your cop skills to take down enemy foes with kung fu and other hand to hand combat tactics, as well as free running as you traverse along the rooftops of Lego City. As you progress through the story you will unlock more outfits so you can complete special actions during main missions or are out traveling in Lego City. 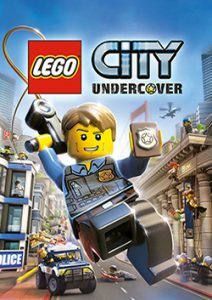 The main story in Lego City Undercover is one thing but there is more than enough to satisfy you in the side content section, from building super builds like call in points for vehicles, blowing up silver statues, collecting pigs and watering flowers around the city. Its all around a great experience when it comes to the gameplay. Conclusion: Lego City Undercover delivers when it comes to quirkiness with its jokes and one-liners, the references to the cop and spy movies is a nice touch for someone my age, because I get them. The gameplay is some of the most fun I have had in a while when it comes to the open world genre I am glad to see it does not take itself to seriously. The only thing that really was not enjoyable about the game was a number of collectibles, I mean you don’t really need 450 gold bricks to collect that is a bit too much. None the less the game is still very much enjoyable. Want to buy or rent Lego City Undercover? then go to Gameaccess.ca Canada’s largest video game rental service.